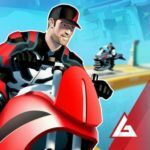 Lextre’s Perfect Shift, a racing game once exclusive to iOS devices, is now available for Android phones and tablets as well, and it’s about time it’s made it to the Play Store. 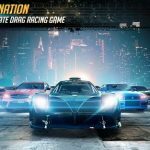 In this game, you can compete with human players from all corners of the globe in 3D race environments; these include tunnels, city streets, industrial areas, and all sorts of breathtaking backdrops. You can choose from a number of supercars, then upgrade them to improve your performance, buying new engines, tires, and aerodynamic effects as you go along. 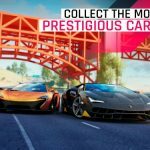 There are a total of 25 “unique” cars to choose from, and there are different ways for you, the racer, to rank on top of the leaderboards. 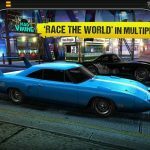 This is far from being the only other racing game on Android and iOS, and while the premise is quite similar – fast cars, street racing – there are other things that make it quite unique in the racing game market. Here are some Perfect Shift tips and tricks that can truly help you out in winning more races, more consistently. There is a reason why the game is called Perfect Shift, and it has something to do with shifting gears at just the right time. Each of the 25 or so vehicles require different timing for the perfect shift, so once you’ve got a new car at your disposal, make sure you study all its quirks and keep them in mind before moving on to more difficult challenges. Pro tip – you’ll know that you’re due to make the perfect shift if the yellow icon on the tachometer appears; that means you’re just about to make it to green, which is perfect shift territory. Is your car due for any upgrades? If the answer is “yes,” do you have the finances to upgrade your ride? If you do have enough money, then you can go ahead and upgrade it. Yes, we told you above that making a perfect shift is important, but even that won’t be enough to help you win races as the going gets tougher. You need certain upgrades to maintain your blistering performance, such as the nitro boost that gets the ball rolling as the first upgrade. 3. When Should You Spring For A New Car? It’s cool to upgrade your vehicle as much as possible, but the time may come when it’s trumped by another vehicle with far more impressive stats. So were those upgrades worth it? They certainly were, but if you’ve maxed out all the stats on your main ride, you should definitely go ahead and buy a new one. There are myriad ways in which you can customize your vehicle, and it does include cosmetic changes such as changing the color of your car’s body or changing your rims. Yes, these are merely aesthetic updates and they won’t make your car perform any better, but you get more prestige. And with more prestige comes more bonus money once you complete a race. When shifting your car, you’ll mainly be relying on the gear up button. But if you get too excited and shift too soon or too fast, you may likely end up losing the race; if this happens, you can always shift back down and shift up once your speed is back up again.